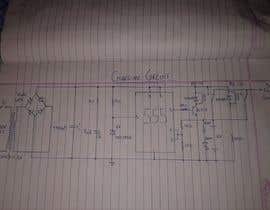 I want a circuit which will be powered by 12 volts battery to generate a sound through a siren horn for 5 seconds at frequency of 15/30 minutes. For example, from the moment I turn on the circuit, it should sound the horn for a duration of 5 seconds for every 15/30 minutes. We need to have a switch which will decide between OFF time period for 15 minutes or 30 minutes. Once the battery is discharged, we would be able to recharge the battery using 220/230 V AC supply. The circuit should also have an LED which will indicate that the battery is fully charged. The siren horn will generate sound when we provide input of 12 V DC. So the input to the horn should be a 12 V DC supply for a duration of 5 seconds and for the next 15/30 minutes, no supply should be provided. Refer the diagram & image of the siren horn for better understanding of the function. To help you guys sped up the submissions, you can use the circuit provided here as a reference. I will try out the submissions on my breadboard and depending which one works will award the prize. The intent is to mass produce, but I want to test the circuit as a prototype before beginning the PCB designing and mass production. 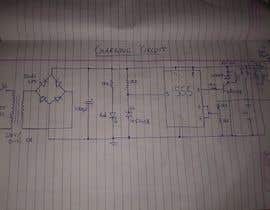 I have completed this without any micro controllers only a 555 timer, transformers, capacitors resistors and transistors. If you have any questions please let me know. What is the deliverable of this contest?. 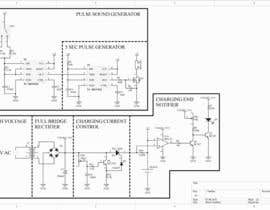 Is it simulation result or circuit diagram? 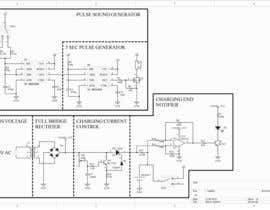 Circuit diagram. I will build the circuit. I tried my hand at simulation design on softwares like PartSim, systemvision, etc. but it didn't work for me. If you can provide the simulation result as well, that would also be great. But ensure that the components used, like transistors, capacitors, resistors are commonly available in the market. 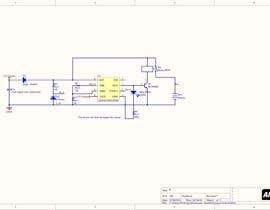 I can make schema with Atmel microcontroller ATiny25, but you should write software. It would cost a total of $ 75 USD. Hi Pesica. I don't mind $75, but I believe it can be done simply using two 555 timers, some resistors, capacitors, transistors and step-down transformer. Let me know if you can do it without microcontroller.